When news hit that a certain princess to be, had used Nelson Honeys Nectar Ease honey as a pre wedding facial treatment, the phones ran hot! 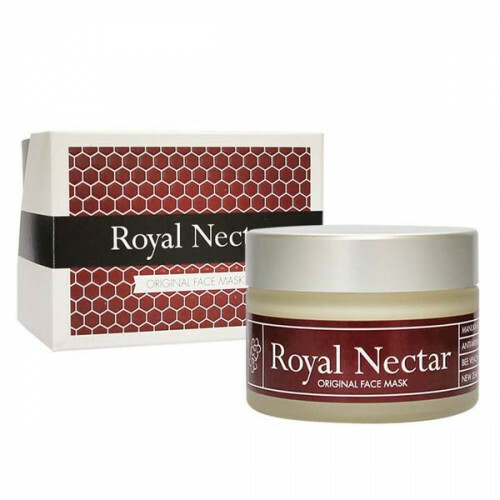 Nelson Honey has now proudly created their Bee Venom Facial Mask called Royal Nectar, so that everyone can experience the Bee Venom Mask in their home. Nelson Honey’s Royal Nectar is formulated for a rapid anti-ageing effect. It has been created with a soothing blend of waxes and oils, and features Manuka honey and Bee Venom together. Bee Venom gently stimulates your facial muscles to tighten and firm the skin, reducing the effects of your frown and laughter lines. It is also said to stimulate the production of Collagen and elastin which are vital to your skin. Royal Nectar is proudly made in New Zealand. Experience Royal Nectar for yourself and see the benefits to your skin. ♦ Ingredients: Aqua, Rose water, Lannett wax, Tocopherol, Beeswax, Avocado Oil, Apricot Kernel, Easyliance, Rosehip, Manuka Honey, Evening Primrose oil, Optiphen, Elyese Cocoa Butter, Tixican, Marshmallow extract, Lavender, Bee venom. Apply Royal Nectar daily as part of your skin care routine. We suggest application using a clean cosmetic brush or spatula onto cleansed skin. Leave on for 20 minutes, then wash off. A test patch application is recommended for first use. May be used in conjunction with Royal Nectar Moisturising Face Lift - one product in the morning, the other at night. Pease note: A slight tightening sensation upon application is normail, this is just the Bee Venom getting to work. If you don't feel a tightening sensation, don't worry, it's still working!! Do not use this product if you have an allergy to bees stings or any of the ingredients listed below. Patch test recommended. Discontinue to use if skin allergy or discount occurs. Do not use if skin in injured or swollen. Avoid direct exposure ot sunlight and high temperature. Store in cool, dry place. Keep our of reach of children. ♦ Product Description: Wild Ferns Rotorua Mud Face Pack with Manuka Honey 95ml is Th..
♦ Product Description: This is a highly effective mud face pack that gives you the c..
♦ Product Description: This is a re-energising, peelable facial mask containing pure..
♦ Product Description: This is a softening lotion for use all over the body. Applied..
♦ Product Description: A skin refining treatment designed to softly buff away dead s..
♦ Product Description: This facial wash is made from geothermal mud from Rotorua whi..
♦ Product Description: Wild Ferns Rotorua Mud Face & Body Pack With Manuka Honey & La..
Wild Ferns Rotorua Mud Facial Moisturiser with Calendula & Rose Hip Oil 75ml!!! Moisturisers ho..